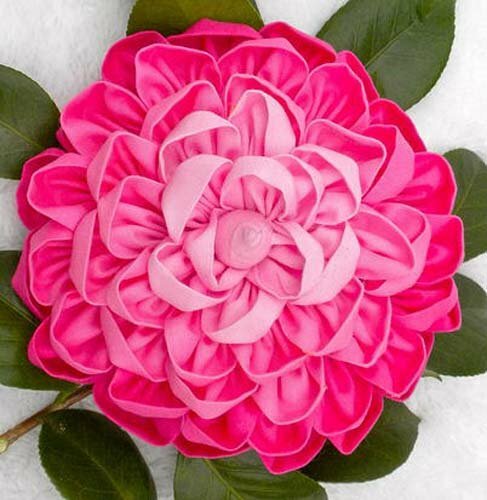 Sew, not grow, your own Camelia Gigantus Brooch. Finished size of large brooch: approximately 6" across. Medium brooch: 4" across. Buds: 1.5" across.